MANILA, Philippines — Southeast Asian leaders on Tuesday signed a landmark document advancing the interests and welfare of thousands of migrant workers in the region. 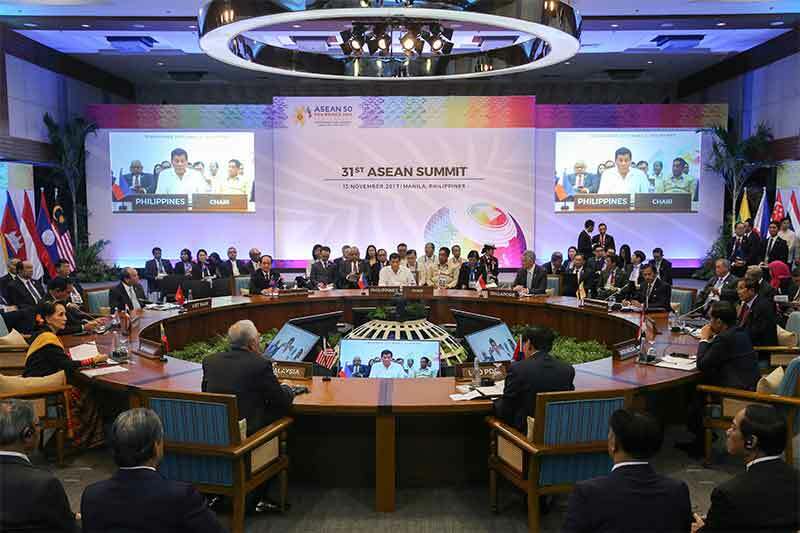 The heads of state of the ASEAN member-states signed the ASEAN Consensus on the Protection and Promotion of the Rights of Migrant Workers during the 31st ASEAN Summit in Manila. In his opening statement, President Rodrigo Duterte noted that the signing of the landmark document would strengthen social protection, access to justice, humane and fair treatment and access to health services for migrant workers in the region. “I am pleased to announce that ASEAN member states have come to an agreement on the ASEAN consensus on the protection and promotion of rights of migrant workers,” Duterte said. The implementation of the consensus would be subject to the respective laws of ASEAN member-states. Labor Secretary Silvestre Bello III said that the consensus would benefit the 212,435 Filipino migrant workers in Southeast Asia, majority of whom are employed in Singapore and Malaysia. “In cases where Filipino migrant workers are imprisoned, they will have rights no less favorable than those applied to the local workers. They also have the right to file grievances with the relevant authorities in the countries they are working in,” Bello said. Senior Labor officials of the ASEAN finalized the agreement during their retreat in Manila last August 25.